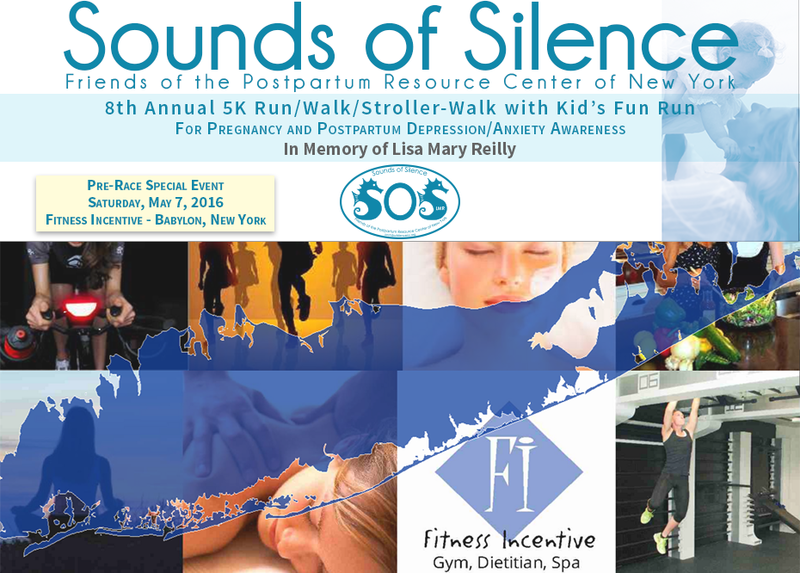 Fitness Incentive, a long time supporter of the Sounds of Silence, Friends of the Postpartum Resource Center of New York's Annual 5k Run/Walk/Stroller-Walk, will be holding a special event in support of this event. On Saturday, May 7th, we ask that you dedicate your work-out at Fitness Incentive in honor of Lisa Mary Reilly. Lisa's sister, Erin Mascaro, will be on hand along with other members of the Sounds of Silence team to collect donations in Lisa's honor. Please make checks payble to: The Postpartum Resource Center of New York. To learn more about the Sounds of Silence, please click here. To register for this year's 8th Annual 5k Run/Walk/Stroller-Walk, which takes place on Saturday, May 14th, please click here. To visit the PRCNY's event page for the race as well as for information about how to become a sponsor, please click here. All donations benefit the essential programs and services of the Postpartum Resource Center of New York Inc., a 501 (c)(3) IRS recognized non-profit organization. Tax ID # 11-3449880. Annual 5k Run/Walk/Stroller-Walk, talks about the special pre-race event at Fitness Incentive.